Last month we talked about a 3.7 acre Roman fort from 1st century AD located at the Plantation Place in London. It was probably constructed as a ‘safety measure’ for London, after the Romans faced the rebellious wrath of the Iceni and other Briton tribes fueled by their queen Boudica. Well this time around, we go further down to 4th century AD – and it seems the ‘later’ Romans in Britain were facing a danger of a different kind. 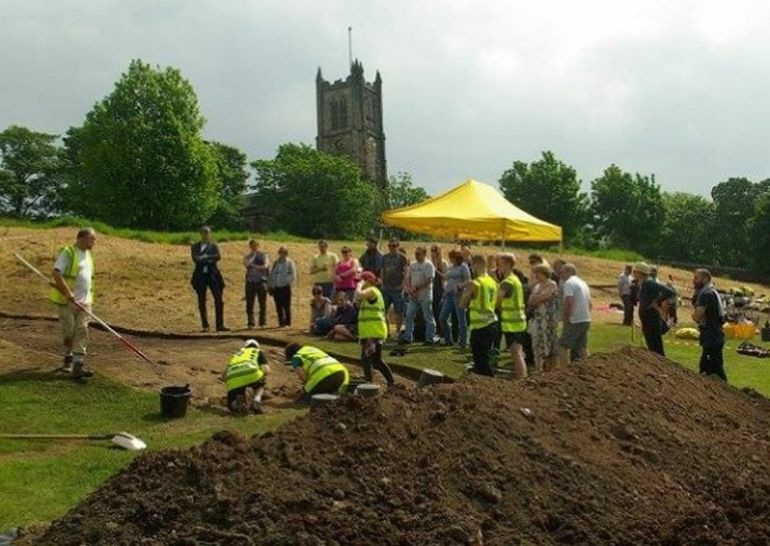 To that end, archaeologists have discovered remnants of a wall and a Roman road in an open space close to the Lancaster Castle. Pointing at the scope of a shore Roman fort, the defense works were probably laid to counter external seaborne raids (as opposed to native rebels). We did a geophysical survey a couple of years ago which suggested that the corner of the fort lay in this field. We excavated here and…you can see the junction of the edge of the wall and an external road surface. The Romans in the later period, in the 4th Century, were particularly concerned with seaborne raiding and immigration. 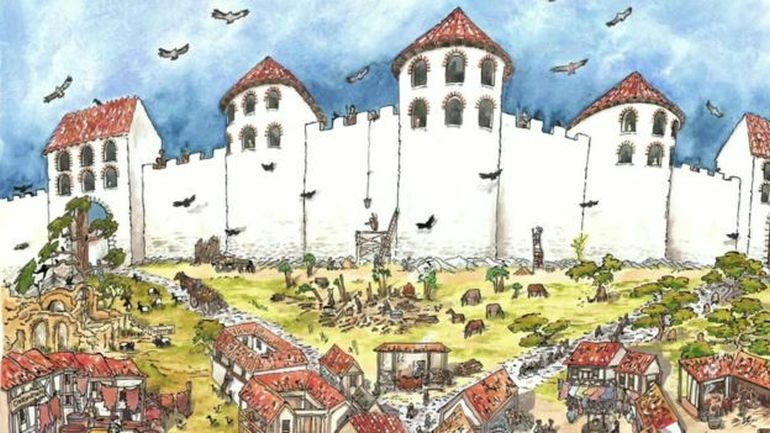 The borders were becoming more porous in the Roman empire and these large shore forts were erected around the south, the east and latterly the west coast of Britain to control immigration, to control raiding and to act as supply bases for the army. Now interestingly enough, the Lancaster Castle in itself was the site of a 1st century Roman fort, which looked over the River Lune crossing from a small hill. The strategic location was possibly chosen to counter the intrusions of the tribes from the north. However we are still not sure if the ‘newer’ fort from 4th century was linked to the older Roman fortifications in the area. And lastly, since we are dabbling in history, Lancaster Castle is also the infamous site where the Pendle witches trial took place in 1612, while the castle was later used as a baleful place for public executions.